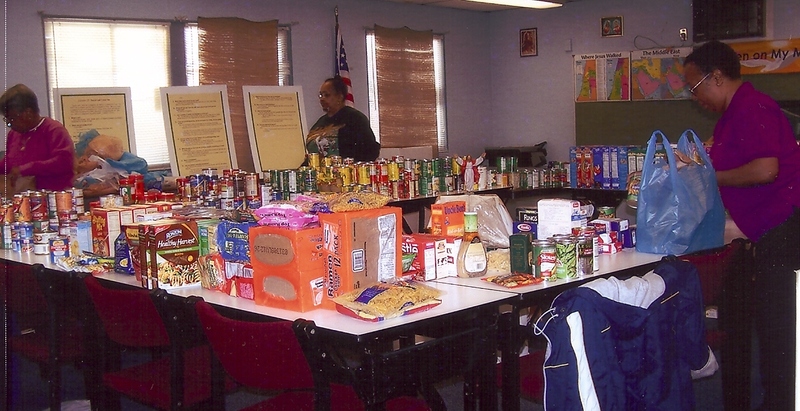 During the Papal Visit to the Archdiocese of Washington more than 112 tons of canned food and dry goods were collected to restock area food pantries in the name of Pope Benedict XVI. 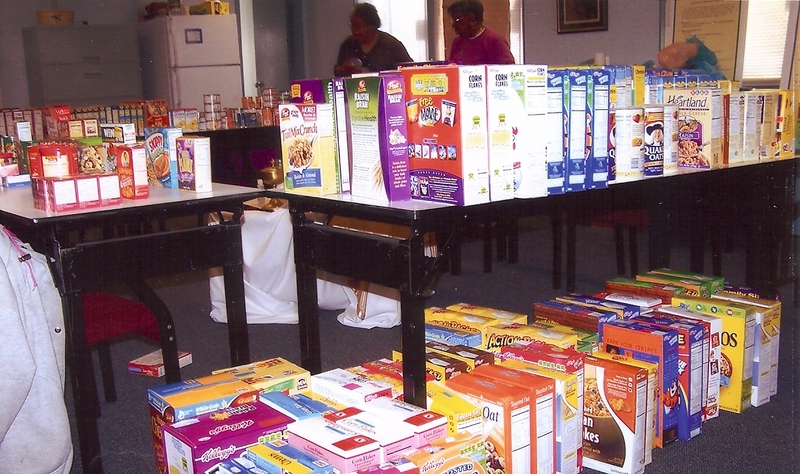 Special grocery bags were distributed to the 140 parishes and 100 schools throughout the Archdiocese for the food drive. 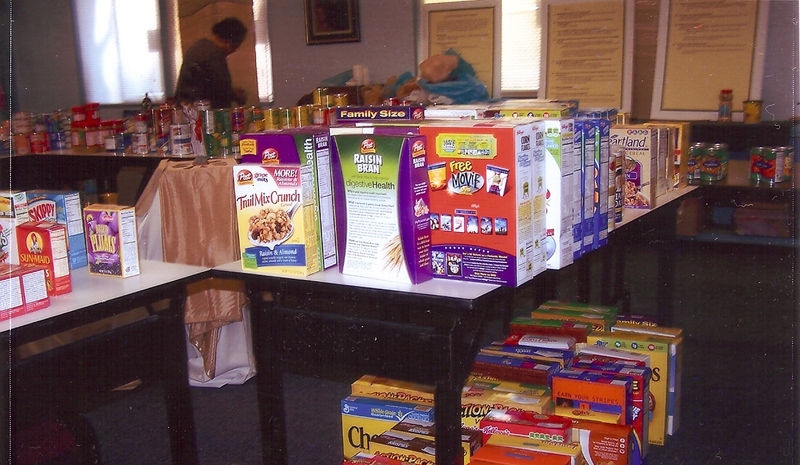 OLPH Church family collected 1,700 lbs. 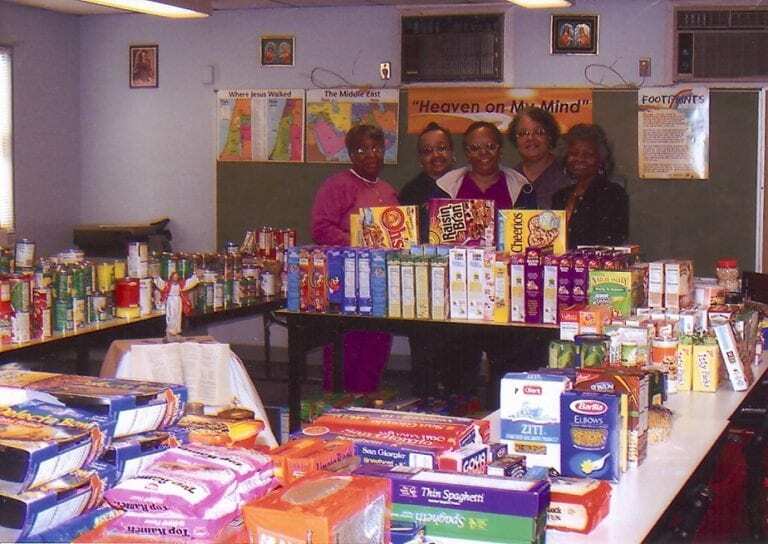 of food which supported its own food pantry operated by the Ladies of Charity. 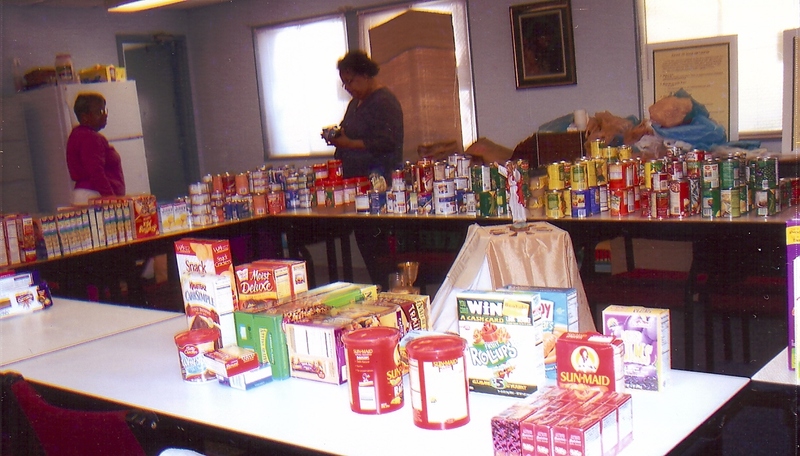 Pictured are food donations and the ladies sorting to store in the pantry.